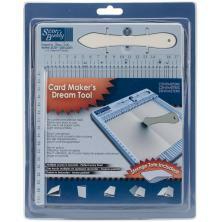 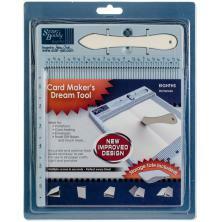 This board and Scor-tool allows you to make perfect scores for precisely folded greeting cards; envelopes and more. 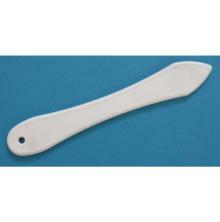 With it's one piece plastic construction with a convenient tool holder it is lightweight and easy to travel with. 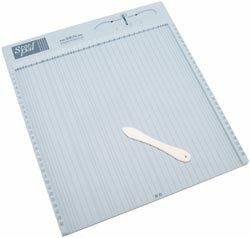 This board is great for all kinds of paper crafting projects: scrapbooking; greeting card making; paper boxes; envelopes and much more! 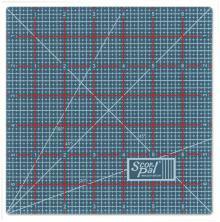 Board measures 14-1/4x12-3/4in and has a measurement grid down both sides in centimeter increments and across the top in 1/2 centimeter increments featuring special symbols that along with the instructions make card folding easier than ever!